Former LA Lakers Norm Nixon (right) and A.C. Green (left) took part in 'Healthcare Basketball Follies' Saturday, an event hosted by High Desert Medical Group to raise money for the Boys and Girls Club. 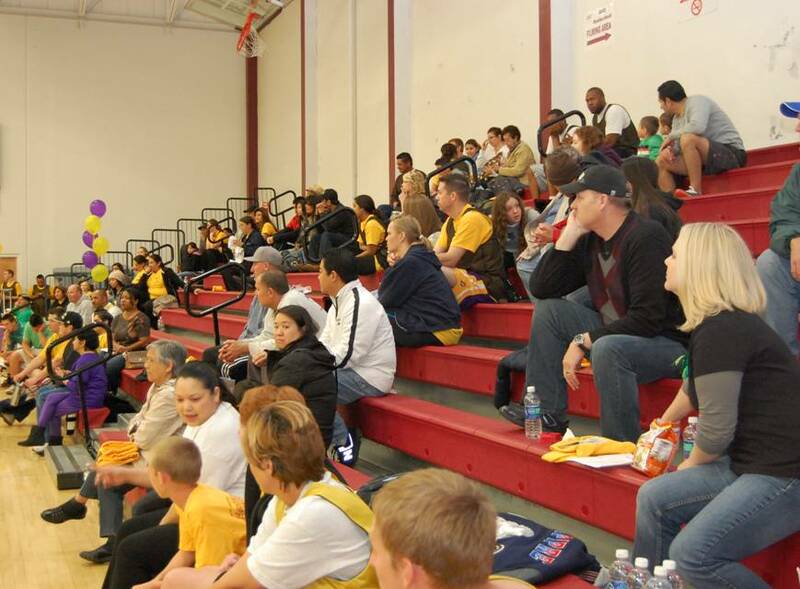 LANCASTER – Former LA Lakers All-Stars A.C. Green and Norm Nixon made a special trip to the Antelope Valley Saturday to sign autographs, pose for pictures, answer questions, and play some one-on-one with a couple of lucky fans. The former NBA players were the highlight of the second annual “Healthcare Basketball Follies,” a three-on-three tournament where local healthcare professionals battle it out on the basketball court in the name of charity. Several braved windy, rainy weather to attend the event. The all-day event took place at the Antelope Valley College Gymnasium, and was hosted by High Desert Medical Group (HDMG) & Heritage Health Care to raise money for the Boys & Girls Clubs of the Antelope Valley. “What we decided to do was come up with a way where some of our local healthcare professionals could have some fun with family and friends and raise some money for a very good cause,” said HDMG Administrator and Boys & Girls Club Board Member Rafael Gonzales. 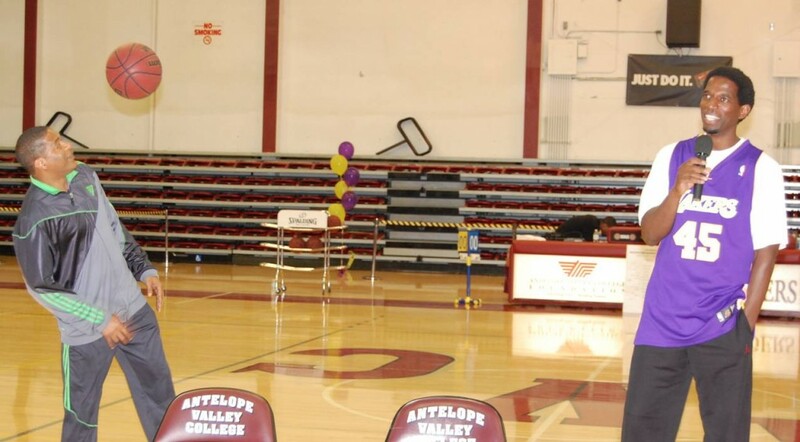 To raise the money, Gonzales said many healthcare professionals in the Antelope Valley sponsored teams in the tournament for about $500 a team, with the money going directly to the Boys and Girls club. 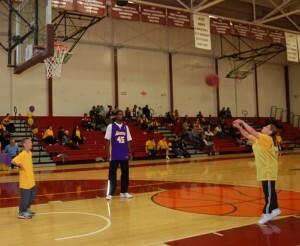 Organizers also sold raffle tickets where lucky winners got a chance to play a game with the two former Lakers All Stars. 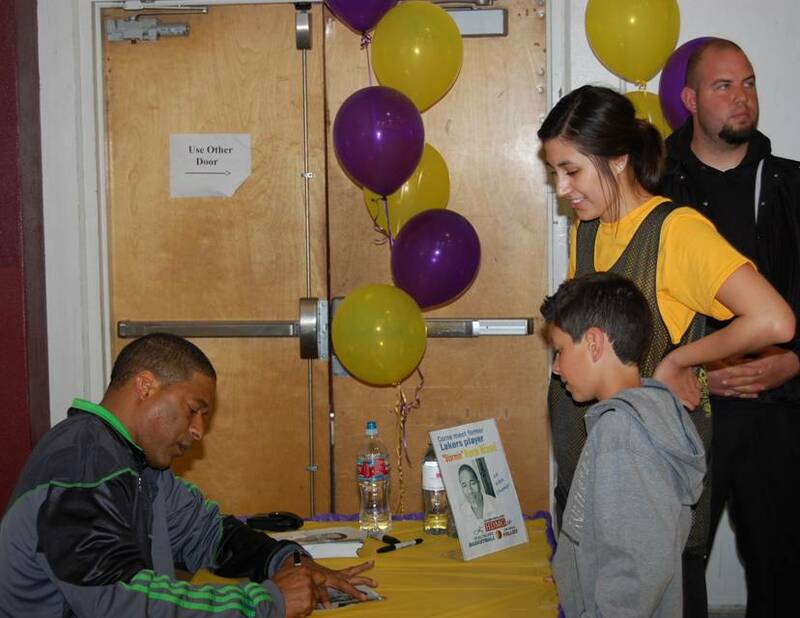 Before facing off with fans, Green and Nixon shared some of their experiences both on and off the court. Nixon said two traits common to all NBA greats are confidence and discipline, and both are important for succeeding in any profession. 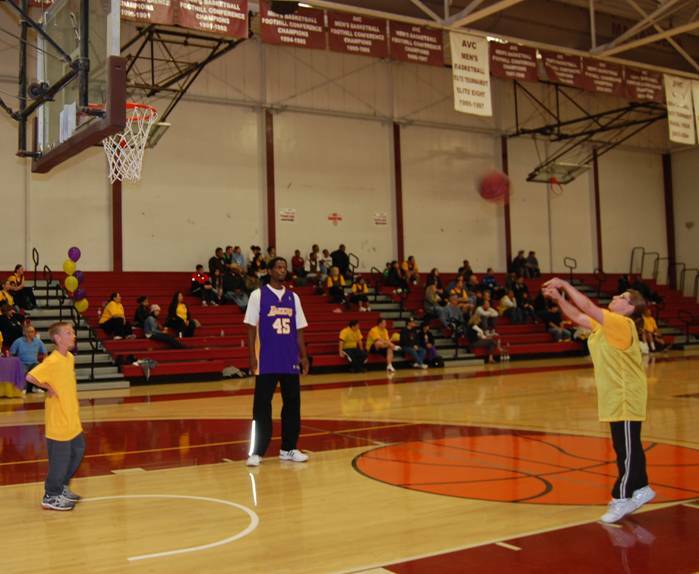 A lucky fan got to play against A.C. Green. “I’ve not met one pro that didn’t think he was the best, that didn’t want to be the best,” Nixon said, adding that you can’t be the best if you don’t have the discipline to put in the work. Green spoke of his experiences giving back to his community through his AC Green Youth Foundation, an organization that reaches out to youth with the message of abstinence until marriage. The former NBA players signed autographs for fans. Several Lakers fans also peppered the two with questions on everything from what their experiences were like playing with Earvin “Magic” Johnson to whether or not they would consider Dancing with the Stars. Nixon said he’s always being asked about “Dancing with the Stars” and his answer is always the same. “No, I wouldn’t consider it because it’s not in my personality,” he said, before poking fun at fellow NBA Star Clyde Drexler for his stint on Dancing with the Stars in 2007. “For somebody who could play basketball, I was shocked to see that he has absolutely no rhythm!” Nixon said. The former NBA stars capped off their appearance with a basketball game of horse with two lucky fans who won the fundraising raffle. Organizers said last year’s “Healthcare Basketball Follies” raised about $10,000, and hope that this year’s event will raise even more money for the Boys and Girls Clubs of the Antelope Valley.